Kees Christiaanse (1953) is a Dutch architect, founder and partner of the office KCAP Kees Christiaanse Architects & Planners. 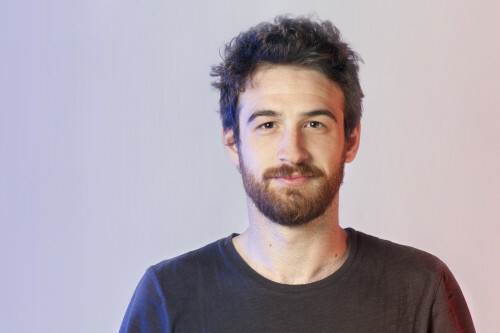 He studied architecture and urban planning at the TU Delft. From 1980 until 1989 he worked for OMA, Office of Metropolitan Architecture in Rotterdam, becoming a partner in 1983. In 1989 Kees Christiaanse founded his own office in Rotterdam: KCAP, since 2002, which expanded to Zurich and Shanghai. KCAP Zurich was established in 2006 after winning two international design competitions in Zurich. KCAP Shanghai was established in 2011, and supports KCAP’s growing portfolio in China. During the last 20 years KCAP has established itself as one of the leading international practices in the fields of architecture and urbanism. From 1996 until 2003 Kees Christiaanse taught architecture and urban planning at TU Berlin. Since 2003 he is professor at the ETH in Zurich. In 2009 Kees Christiaanse was curator of the International Architecture Biennale Rotterdam entitled “Open City. Designing Coexistence” where he raised the question how can architects and urbanists make realistic contributions to the sustainable quality of the urban condition. 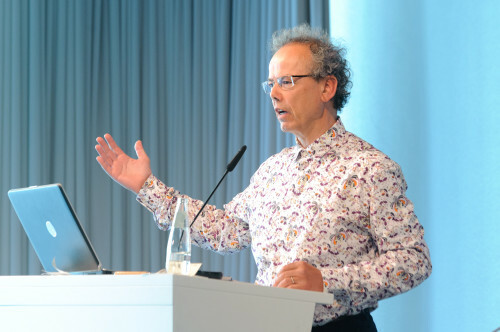 In 2011 ETH opened his branch in Singapore, since that moment Kees Christiaanse is Programme Leader of the Future Cities Laboratory (FCL) which is a trans disciplinary research centre focused on diverse themes related to future cities and environmental sustainability. Mr Christiaanse, during interviews you often quote Jane Jacobs, as well as in “The open city and its Enemies” where she is used as a key figure to explain the Open City ” the city of Jane Jacobs, whose image assumes clearly defined contours in her sizeable oeuvre, as an Open City where coexistence thrives and that extends far beyond Greenwich Village, is she still actual? How is she relevant for urban scale projects? I quote her often not because I know her books deeply, but because I met her in person a couple of times, and when we were talking we were on the same level. I don’t consider the book she wrote in 1960 “The death and life of the great American cities, as containing everything that has been developed in urban theory between then and now, but it is definitely an important book covering many very actual issues of urbanism. How can her work, based mostly on the human scale be relevant for big urban planning? She wrote about extremely practical things and she based her work on empirical observation. In my opinion when she started to conceive a theory, as for example in her book “The economy of cities” she is less interesting. I appreciate the real and concrete set of observations of how people behave in the cities. And I think her observations don’t refer only to the human scale but are also applicable to the scale of the whole city. For instance the principle of “Open City” where the city has the maximum of permeability, transparency and accessibility of street crossings is a principle that is valid on the small scale or on the large scale. How did your personal interest in combining two scales, the small human, and the large urban scale develop? What fascinated you about cities? I used to work on the large scale from the beginning because I’m Dutch and we have been working in “land winning” for ages. We have some good examples of early work in new towns like Lelystad and Almere. In the tradition of Dutch urbanism, large scale planning is frequently related to the tradition of land fill. Because of all these efforts to gain new land, the Netherlands is a very compact and collective society in which there is a lot of collaboration. The state also is willing for the public development of collective activities. I remember around 1970 I saw a booklet “In search of Living” which illustrated the land of the Netherlands as a kind of fiction, presenting for example monorails and catamarans. This fascinated me, and I decided to study architecture. I ‘ve always been interested in this two different scales large and small at the same time. Did the experience at OMA influence your approach towards the urban scale? I was a founding member of OMA in Rotterdam and at the beginning we got mainly urban projects, so I definitely started to approach this scale right from the beginning of my career. There was interaction between those who were designing the architectural projects and the urban scale projects. The competition for the park de la Villette was very important in that sense because it was one of the first concepts dealing with the unpredictability of an uncertain future. We had to design a structure that had to adapt to many circumstances. This was the beginning, and I’ve been doing it ever since. When I opened my office in Rotterdam I did mainly large urban scale design competitions, and I won some of them, for example HafenCity in Hamburg. Then, in a certain moment of your career, you are the “masterplanner”, not anymore the architect, although I sometimes do architectural projects. I think you cannot do urban design if you are not doing building design. When you opened your office in Zurich you said in an interview: “You cannot move too many times in your life […] it is realistic to say that I will spend the rest of my professional life in Switzerland.” What kind of tendency brought you to Singapore? This is the paradox of the people who deal with sustainable urbanism like I’m doing, where you are supposed to be reducing mobility, but then I fly often all over the world to sell my ideas and to help cities to develop in the right directions. Very strange situation I would say. It is an experiment to work in Singapore; it was a very interesting project from the beginning. Singapore decided to become the knowledge out of Asia, and because they have a flourishing economic situation, they are collaborating with good universities, which come here bringing very talented people and create a sort of incubator situation. For me it is very important to have a base, from which I can move all around; and my base is Zurich. Starting this new experience in Singapore means that I need to delegate many tasks of my offices, so it also means I cannot do it for so long. I have also a little office in Shanghai but they are coordinating the projects in China. The design part is developed in Europe. How is the Laboratory in Singapore organized? It is a branch of the ETH in Zurich, but the main difference is that it is not a school but a Research institute. We have 100 researchers, half of them are PhD students, the other half are post doctoral researchers. At the Laboratory Future Cities in Singapore you are dealing with future urbanism everyday, what kind of research have you been developing? The Singapore government expected big masterplanning from us for Singapore, but we decided to approach the future in a different way. Our research works on very different levels, different scales, for example slums study, large-​scale projects, ecology, water projects and traffic simulation. We do urban scale projects like the masterplan of a large region around Singapore, which include the islands of Indonesia and Malaysia, but on the contrary we investigate also very small technical aspects. For example we are currently exploring the possibility of replacing steel reinforcements with a bamboo composite material due to corrosion and cost of steel inside reinforced concrete structures. For another research project we develop Kampong house prototypes for neighbourhoods in South East Asia. We are doing many things. Nowadays people are moving into urbanised areas and we have already reached the point where more people live in cities than in rural areas, how will it shape the future? There are many types of urbanisation; we always say that the future will be in an urbanized area. Many people live in an urbanised landscape, but it doesn’t mean they live in dense cities. What I consider very important is the intermediate condition between the rural and the urban: the Desa Kota. The Desa Kota is the rural area or town located in between agricultural or industrial production and the city. For instance, the area in the north of Italy which goes from Udine until Genova. It is a very good example, an endless city and industrialised landscape, that you can’t call one city. It is a kind of galaxy made out of towns, villages and cities with different dimensions. All of them can only exist because they are part of this network. I consider the European urban condition with the existence of hundreds of middlesized cities that lay in the landscape to be a positive example. The cities are part of a network and the city itself became important as a large whole. Concerning the urbanisation I think there will be four conditions: the city, the Desa Kota, the industrial agriculture and the wilderness. These four conditions will be all strongly related and they merge into one another. It is not easy to separate them. You just described one of these four conditions, could you tell something more about the others? Speaking about the city, I do not believe that the compact city is the only module. The compact city is a type that many planners propagate because of sustainability. The polycentric-​urbanised landscape will be increasing its importance because you can combine residential, production and agriculture in the landscape. It needs much more energy and money compared with a compact city, in that sense people who support the compact city are right, but the human behaviour is opposite to that. 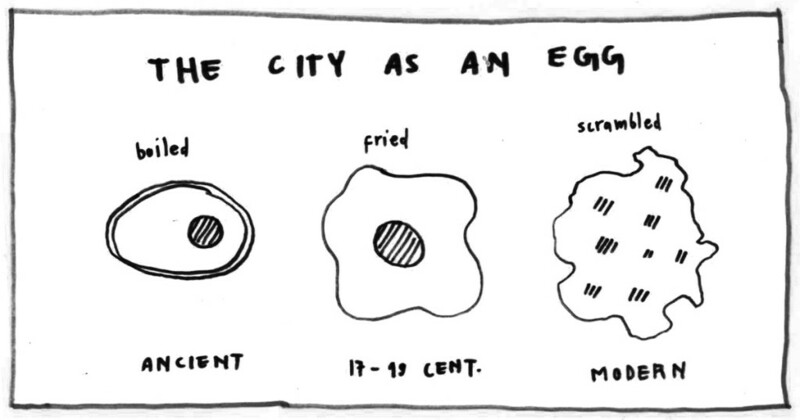 Cedric Price gave the definition of the city using eggs as a metaphor. During the medieval time the city was a boiled egg because it had a defined border built in form of walls. In the XVIII and XIX centuries the egg was fried because the walls were removed and they didn’t have a defined border anymore. Nowadays I consider the city as a scrambled egg with many centralities. It is inevitable. The European cities can be seen as a network of many eggs laying in an urbanised landscape. Then of course you will have everywhere large scale compound development; large scale monofunctional areas, for example huge hospitals, gigantic airports, agricultural complexes like the big green houses in the Netherlands. I think almost everything will be accessible and the real wilderness will be very rare. Speaking about Russia, I know that with your office you are developing projects in two completely different situations, Moscow that is growing quickly, and Perm where there is a completely different trend. How do you approach these two completely different tasks? Moscow in its attractive power is much more a Chinese city than a European city. It is growing really fast and it became the attraction of the whole Russia. It is because of an extreme organisation of the country that makes it possible to have this kind of situation. In Europe only Paris and London are similar. Many other cities like Berlin are stable and they have their own dimension. In Moscow we didn’t do the whole masterplanning but only a project. In Perm for completely different reasons there is a very complex situation too. Perm is a city that became important during the Second World War when many factories moved there to defend them against the Nazi invasion. In the last decades, after the boom of post soviet era, Perm became victim of an uncontrolled and wild development. 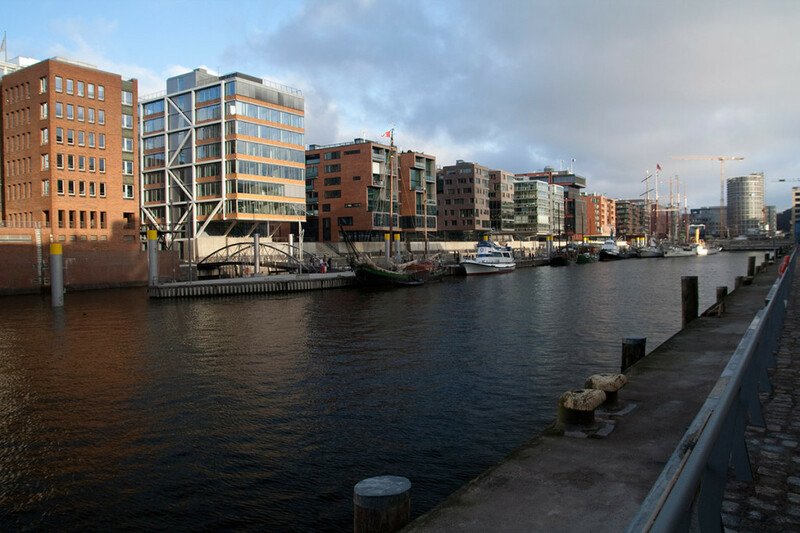 They want to create an exemplary city and they visited many European cities like Hamburg and Bilbao. There was a whole process of renovation of the city working at the same time on the urbanism and political reform but also on cultural and social development. The actual situation of Perm is that it doesn’t grow as a population, but the buildings are growing. People abandon the old buildings and build new buildings somewhere else. The result is an enormous sprawl, because they didn’t replace the old buildings, they just leave them behind. It is a very difficult situation, because none of the city networks work anymore. There is no public transport, everybody uses the car, the pipes are so long and the rents are completely out of balance. What we proposed is to consolidate the buildings and create densification inside the built zone, not allowing construction out of the built part. We create a contour within which to densify and a green contour where you are not allowed to build at all. It is a plan in strong contrast with the interest of the investors and the landlords; this is the reason why the developer started a campaign against the project. They sabotaged our masterplan and proposed a different one. Now our project is frozen and I don’t know what will happen. Discussing your work and academic experience, we spoke about many places and situations. 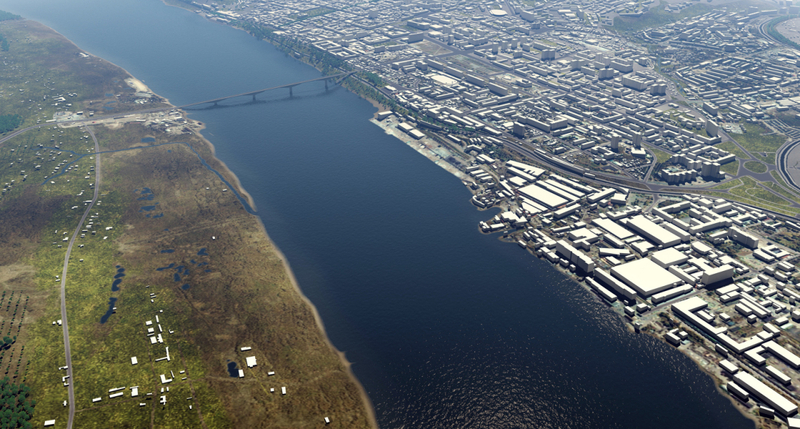 Do you have general predictions about the practice of urban planning in the future? Concerning the Asian cities the only opportunity for developing the megacities is to create multiples centres as already is happening, but I don’t consider that established by a network of cities. The agenda for Europe now is that the cities are growing very slowly. It means the city governments are focusing their attention on strategy and flexibility; they’ve stopped making master-​­‐plans that control everything and are based on growth. At the same they are developing small projects, which are connected with the existing overall structure like the Bilbao waterfront or the docklands in London. I consider the European urban condition established by a network of cities a good model for the future.